*A dapper T.J. Holmes looked presidential as he shook hands and mixed and mingled in a crowd of 150 media elite, Hennessy USA and BET executives at an event held in his honor in New York City on Tuesday, October 23, 2012 at The Catch Rooftop hotspot located in the historic Meatpacking District. The trendy place — which is enclosed by glass and surrounded on three sides by a wrapping outdoor terrace providing panoramic views of the MePa district — made for a perfect setting. MePa’s transparency offered an unobstructed view of the stellar award presentation in which Holmes was presented with the coveted Hennessy Privilege Award by Hennessy USA senior vice president Rodney Williams. 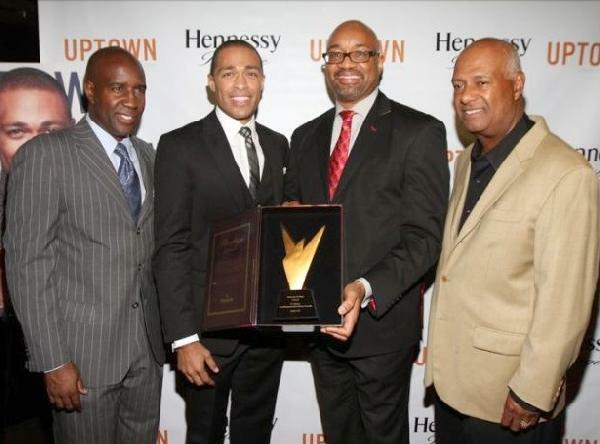 The Hennessy Privilege Award is awarded to those who have made extraordinary contributions to their communities. In accepting the award the distinguished journalist and national television personality — who first gained national prominence as an anchor and correspondent for CNN and now hosts the BET nightly news / talk show Don’t Sleep — thanked the eye candy crowd for coming out while encouraging them to check out his new show. The event drew NYC’s hottest trendsetters including Vibe magazine’s Len Burnett, Hennessy consultant Noel Hankin, BET producer Ken Gibbs and many Uptown Magazine staffers who eagerly circulated information about their latest Oct./Nov. magazine cover story on Holmes. Throughout the event guests enjoyed brown specialty drinks courtesy Hennessy, finger food and a fabulous ambiance that included overhead lighting made up of row after row of oversized cylindrical bulbs that cast a soft light to patrons below and flickered in pace with party music spun by DJ D-Nice. 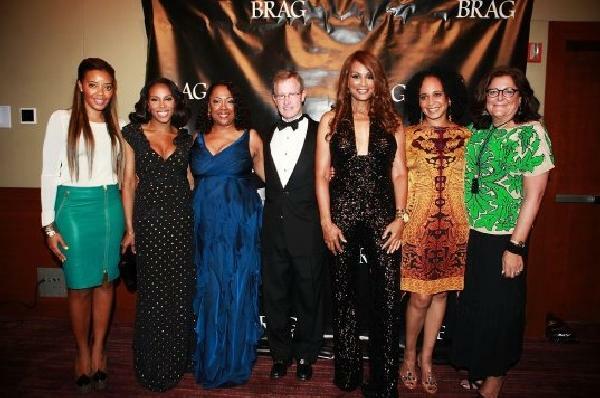 *On Friday, October 19, 2012, the Black Retail Action Group Inc. (BRAG) celebrated forty- two years of fashion industry services at a benefit gala at Chelsea Pier Sixty on New York City’s Hudson River that was attended by some 400 discerning fashionistas. Always the “glam” event to beat, the enchantingly beautiful evening honored five fabulous fashion industry leaders and awarded scholarships to students of color wishing to obtain professions in fashion or other retail-related industries. This year’s theme, BRAG: Breaking Barriers concentrated on individual’s leadership roles that pave the way for a generation of young and seasoned professionals in fashion, retail and other retail related industries and outlines BRAG’s more than 40 years of industry services in offering internships and scholarships to students of color. In addition to the scholarship program, this annual gala and fundraiser supports the industry acclaimed BRAG summer internship program which has served over 1000 students from across the country, as well as the initiation of new BRAG student clubs at colleges and universities nationwide. This year, 30 interns from 21 different schools are participating. The interns work with eleven partner companies including Macy’s, Bloomingdale’s, Saks Fifth Avenue, Coach, Wakefern, Belk, Inc., American Eagle, Phillips Van Heusen, Gap, Inc., Stop and Shop, and Warnaco. MSNBC’s reporter Tamron Hall emceed the event which raised some $350,000 and assisted BRAG’s president Gail Monroe-Perry in presenting the awards. The glam event featured a convivial cocktail reception, auction, dinner and dancing and an open bar filled with premium libations. The fab five honorees included Thomas M. Belk Jr., CEO of Belk Inc.; Susan Akkad, senior vice president, local and cultural relevancy at Estée Lauder; celebrity stylist and reality TV personality June Ambrose; Fern Mallis creator of 7th on Sixth and president of consulting agency Fern Mallis LLC; and supermodel, actress, and entrepreneur Beverly Johnson. Each honoree spoke humbly about their road to success including moments of personal experience, hurdles and achievements. 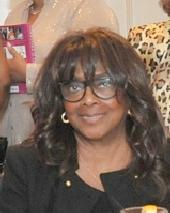 Johnson who looked drop dead gorgeous in a Sherri Hill jumpsuit received the special recognition award for her significant achievement in African American and fashion history. In 1974 she became the first Black model to appear on the cover of Vogue. Today, Johnson is an actress and entrepreneur. Belk, Akkad and Mallis all received the business achievement award recognizing their influence in creating diversity in the marketplace; and Ambrose received the business innovators award. The glamorous night ended with a dessert bar followed by guests cutting up on the dance floor to hot dance music soulfully spun by DJ Kiss. Kudos to Darlene Gillard and her staff who did another magnificent job in producing an effortlessly elegant evening.